So yes I am aware that this is an anime blog, but hey I couldn’t stop myself with the upcoming release of this game called TERA in North America. I have been playing this game on the Korean servers off and on for about a year now. I can easily say I have never been so impressed with a game or had as much fun in a game as I did in this one. Before you ask no I don’t speak Korean, but you really don’t need to speak Korean to play this game in another language, it’s just that good. Ok well it’s not just that… the game is just well made, the UI actually makes sense for once. Especially if you have played other MMO’s. So because of that I was fully able to enjoy this game even though it was in another language. 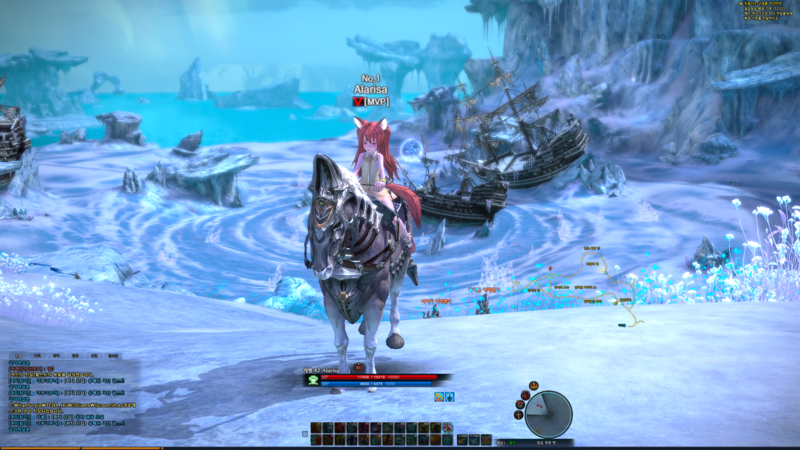 I was first introduced to TERA while I was playing a game called FFXIV, which is um yeah a horrible game, but I respect it for introducing me to the Asian gaming market. Anyways some random guy in my linkshell (guild) mentioned this game saying that it had really good graphics. 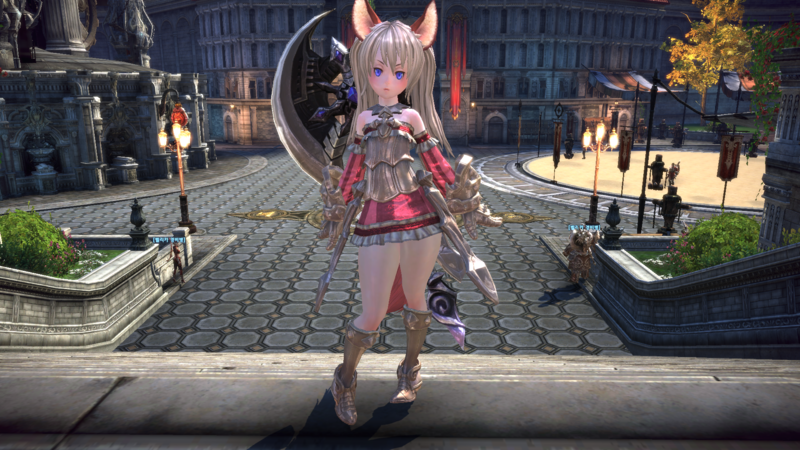 I looked it up and got pretty excited, especially when I saw the Elin (loli character in TERA, yes I love lolis). So more or less after I saw the Elin I was pretty much obsessed with this game. So I went to random sites and finally found one called Boon Control that gave me the information I needed to play. So anyways I got an account blah blah blah, got in game, and then I was just blown away by this amazing game. The graphics are amazing, the character creation is great, the combat is ridiculously awesome, the gameplay challenging, the story exciting (well as far as I could tell), and yeah it was just awesome. 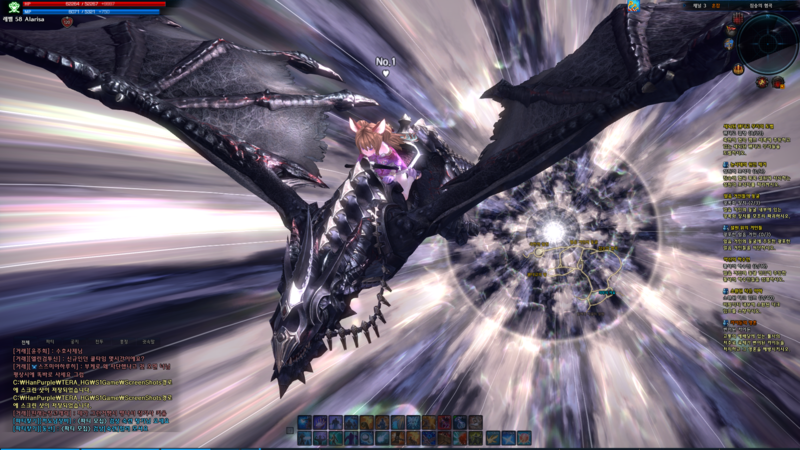 So anyways that’s how I got into TERA, now for anyone who isn’t familiar with the game, the main thing that sets it apart from other MMO’s is it’s combat. They call it “True Action Combat” pretty much it’s an fps based MMO. At first your like so what I have played shooters, but then you play it and your completely absorbed by the combat. It’s amazing to feel like you are in complete control of your character and things aren’t left just to chance, based off your gear stats. To actually feel like the combat flows and is natural, not jerky and irregular. 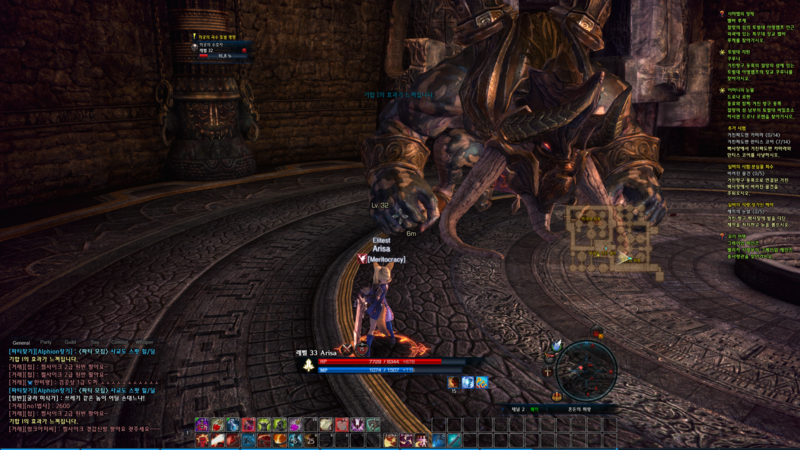 Apart from the sick combat TERA seems to take game graphics to the next level. 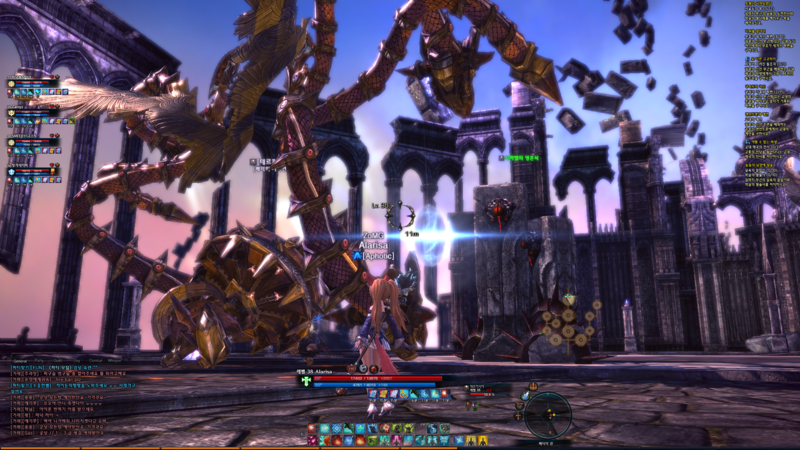 They are simply stunning, I never stopped being amazed by the graphics and artwork in TERA. 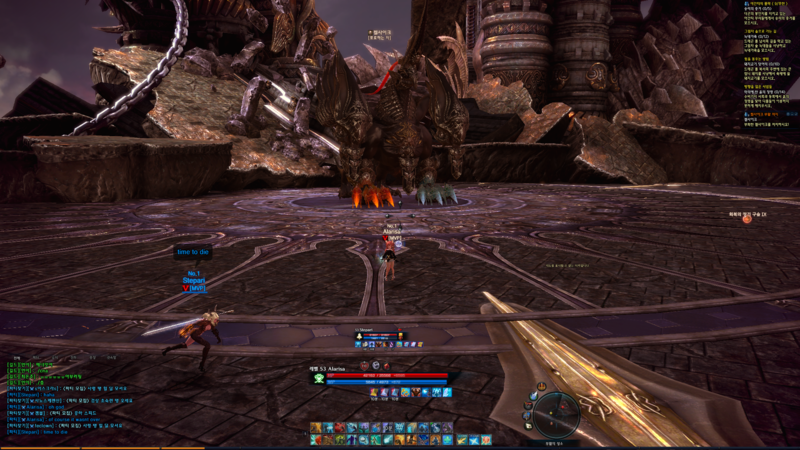 Not to mention that the world of TERA is just huge, it’s easy to get lost in it, there are surprises around every corner. 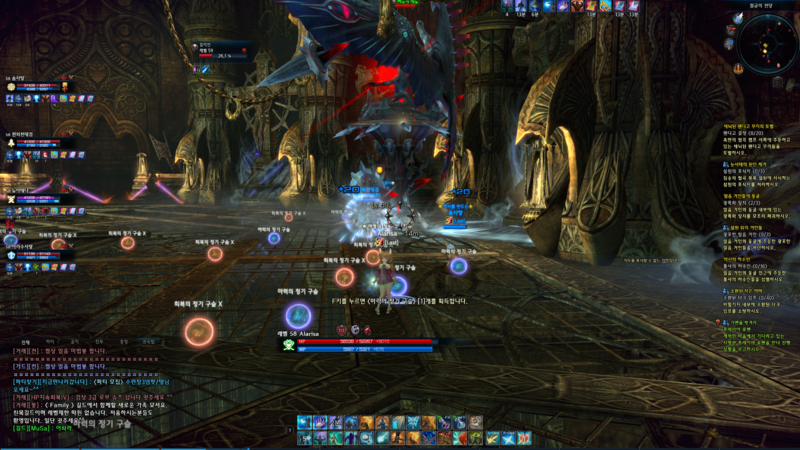 I could really go on and on about how amazing TERA is but if your not convinced by now I probably won’t win you over. Either way I highly recommend checking out this amazing game. The game is currently set for release on May 1st and if you pre-order you can start playing the CBT’s on February 10th. Here is the link to the site NA site: http://tera.enmasse.com/ Oh and check out more awesome pictures below from my gameplay in K-Tera! Anyways yeah the game is great check it out! If you have any questions feel free to ask in the comments below! Kannagi is about a boy named Jin who is pretty much just a normal boy, with the exception that he can sometimes see things that other people can’t. His life quickly turns unexpectedly though when he carves a statue out of a log from an “Ancient Tree” from a nearby shrine. When he finishes and takes it outside it starts to absorb the earth around it and out comes a girl who calls herself Nagi. 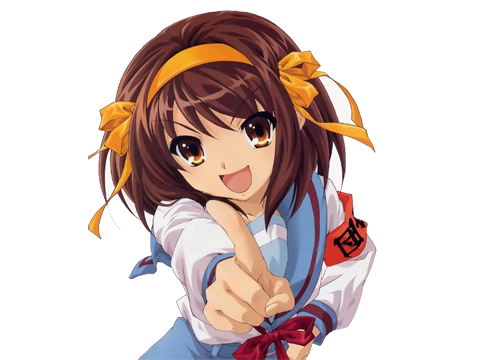 Nagi is no normal girl however, she says she is a god though she doesn’t quite remember what god she is. 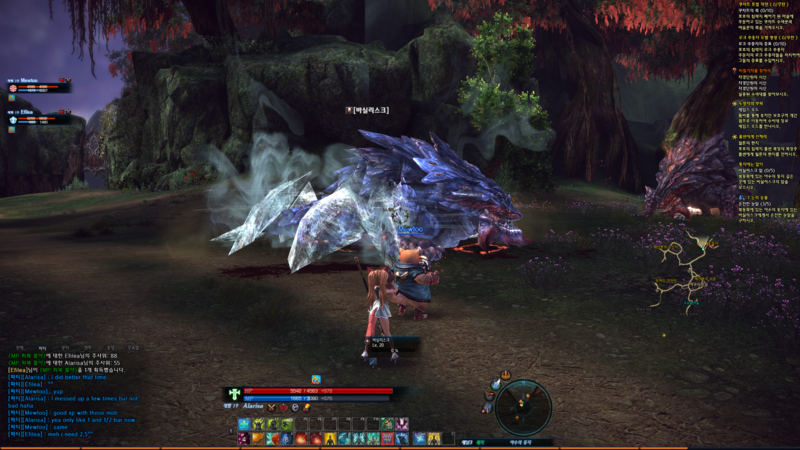 At first she is very upset that her ancient tree was cut down and goes out to clean impurities which she claims have come from the tree that was cut down, however she seems to be quite weak and needs Jin’s help to destroy them. Jin soon finds himself living with a girl that appears to be his age and is quite nieve about the current world. 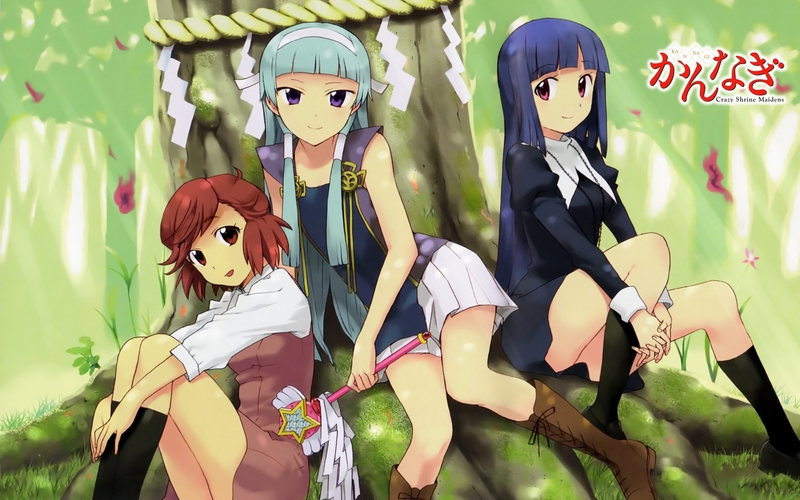 Kannagi is a Comedy really, but it also has a strong plot, they just don’t seem to like to develop it very fast. When they do decide to develop the plot this anime is amazing, when they decide to focus on the comedy it is mediocre. 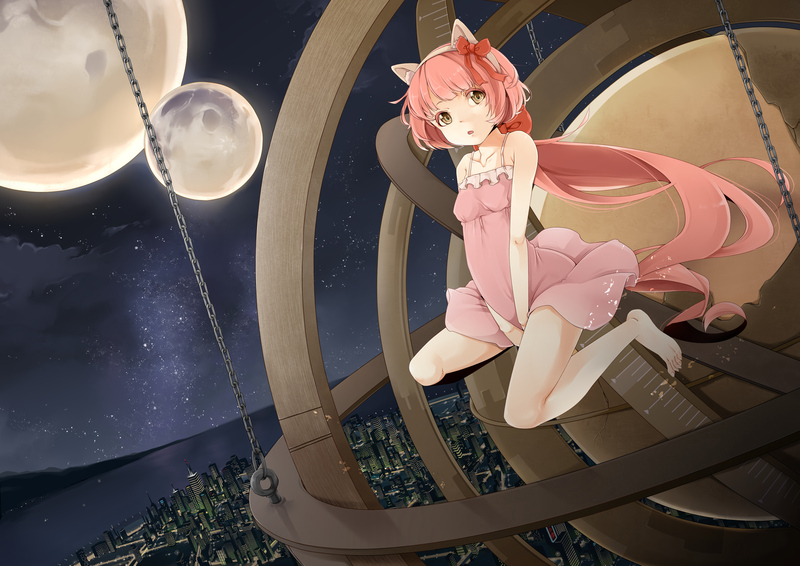 I really love the art in it, it’s beautiful, especially Nagi <3. The opening and ending are also very enjoyable and fun to listen to. I really don’t have much else to say about it. I loved it really, but wish they focused on the plot more or had more episodes. I loved the supernatural part about it and the way it developed but the ending was quite disappointing. I actually went and looked up the manga and read that after I watched the anime. The manga is very good and I would recommend reading it, it’s still ongoing and not near done, so hopefully there will be another season of Kannagi eventually. Update! And the Spring 2012 Anime Line-up! Hmm so I haven’t really been posting here…I should get on that…Really should. But, I’ve been on a pretty serious manga-tear lately…Cross Game, H2, Touch, Sankarea, Katsu!…..Oh well, it happens! Btw, for any of you sports manga fans you should really try those, they’re all by the same author too (except for Sankarea which is about zombies). Adachi Mitsuru, he’s written a lot of great series so if you have time, check him out. The only weird part is that all his characters are drawn pretty much the same way, especially the male protagonists! I’m kind of new to these genre’s but so far I’m enjoying them, they are hard for me to review though so bear with me! Kimikiss Pure Rouge is a romance based anime that has a school setting and a lot of drama. It follows the life of two male high school teenagers and the people that surround them. The story is simply about love really and how it’s sometimes hard to see, especially around the people we are closest too. Kimikiss’s two male leads are Sanada Kouichi and Aihara Kazuki. Sanada is a kind, quite, and shy person where Aihara is a more outgoing and athletic type person. They are both best friends and get along really well. Throughout Kimikiss’s story they are chasing girls that they like and getting chased after by girls who like them and that just really keeps the story going. One of the best thing about Kimikiss are the characters, they all feel so well made, they all have a deep meaning and part it feels like and brings the story together in a seamless fashion. The art and sound in Kimikiss were done very well in my opinion. Some may not like the art style because it is different from most anime’s, but I thought it fit the story. The sound was good there wasn’t much not to like except they could have changed the OP and ED half way through or something for a nice change of scenery. I’ve been busy with a lot of things recently such as figure skating (I’m going to be performing in a local ice show), reading (catching up on some books I’m behind on), and of course my daily dose of anime and gaming. Because of these things I haven’t had a chance to post as much as I would have liked. I will however have some reviews I will be posting sometime in the next couple weeks, one of those will be about a romance anime I have been watching called Kimikiss Pure Rogue, which I have enjoyed watching. Anyway I hope everyone is doing well! Ro-Kyu-Bu! Let’s Play Some Basketball! Ro-Kyu-Bu! or Fast Break! is an anime that I recently watched on a whim. 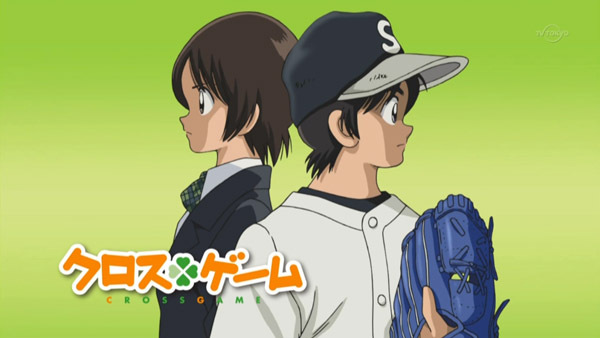 And I have to say that, as a lover of sports anime, this show was very good. I would say the only problem is that I felt rather sleazy while I was watching it. THERES A GOOD REASON FOR THAT! Thats all I’m gunna say for now though, you have to watch the show to figure out how Subaru deals with these girls and the various problems they must face together. Ah, I will point out that this show has a fair amount of fan service and is filled with loli images 😮 hence why I felt so sleazy while watching it. But don’t let that distract you from the fact that there is a legitimate story to this show! Ro-Kyu-Bu! is a typical sport’s anime in the fact that the team is in trouble of disbanding and needs to win a game in order to remain in existence. However, the uniqueness of the fact that it is elementary schoolers and the interactions between each of the girls and Subaru makes for an interesting and worthwhile story. This show does a great job of throwing obstacles in front of each character in the show and then following them as they work, with their friends as support, on overcoming those obstacles. Now, I’m a huge fan of sport’s animes so I was pretty much sold on this show from the beginning because it was a fairly unique basketball show. However, I would reccommend this show to others who may not be as obsessed with sports anime like me. That is because of how the characters are done. 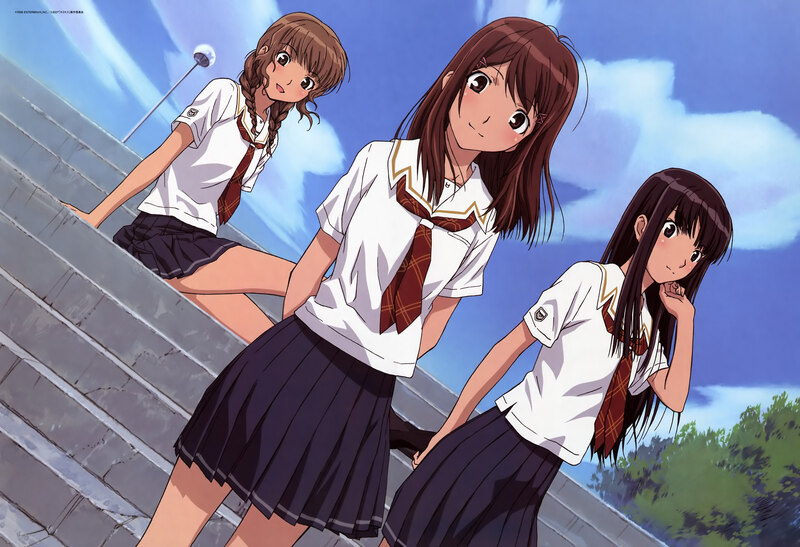 Each of the girls in the show is unique in her own special way: Minato Tomoka is great at basketball but because of her past wants to change and doesn’t want to lose her new special place, her sanctuary with her new friends in the club. Misawa Maho, who seems very similar in personality and appearance to another rich ojou-sama *cough* Nagi *cough*, is always trying to seduce Subaru with various tricks, her actions provide a valuable comedy element to the group. Nagatsuka Saki is a very cool and calm character and the jabs she makes at Maho’s expense are one of the more humorous parts, in addition, she provides a very necessary grounding for Maho with sound advice and intelligent solutions to their problems. Hakamada Hinata is a very airy person who just kinda seems to go along with whatever she finds fun, she is always the first to follow along with Maho’s outrageous plans and suggestions but deep down she cares about her friends a lot and wants nothing more then to do her best for them and to win, together. And finally, Kashii Airi is an exceptionally tall elementary schooler. However, she has a complex about her height and is scared of anything that points out how tall she is. Even though basketball is a tall person’s game Airi consantly struggles against her own hatred of her height and the fact that she knows that she needs to do her best, for her friends, in order to win. 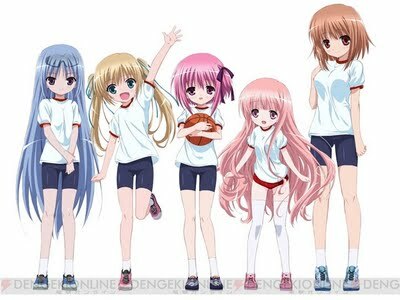 Each of those girls is lovable in their own rights and their various interactions as a group as they face a must-win game against the Boy’s Basketball team, each of the team member’s various problems (such as Airi’s inability to swim), and other hardships is truely a joy to watch. I loved watching them grow as they faced down each barrier that was thrown up in front of them and I’m sure you would too! 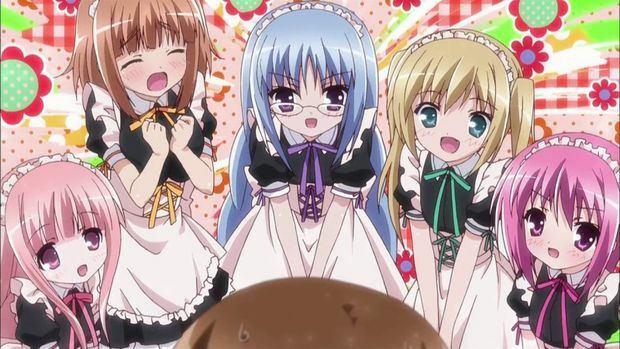 Posted in Anime Review, Ro-Kyu-Bu! Tags: Fast Break!, Rakdos, Ro-Kyu-Bu! Sooooooo I haven’t posted in a while but there should be some posts going up within the next couple days. I have a day off from work tomorrow so I’ll have the time to actually do a good review! I’ll be reviewing Ro-Kyu-Bu! (Fast Break! ), Mayo Chiki!, and Ouran High School Host Club so look forward to it!